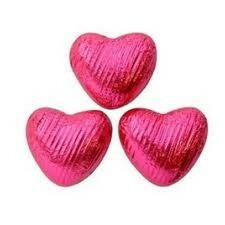 These are an ideal treat to put into your favour bags. These are luxury milk chocolates in a heart shape and covered with hot pink coloured foil. Approximately 3cm x 2.5cm and 22p each. These are sold individually so you can order the exact amount that you need.